SEOUL — Several additional senior North Korean officials favored by the country’s late leader Kim Jong-Il have been recently dismissed from their posts by new ruler Kim Jong-Un, who is cementing his own power base, officials and sources in Seoul say. 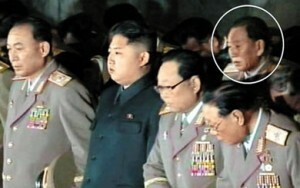 Ryu Kyong, a deputy director of the State Security Department, was executed in January 2011 on charges of espionage, while Kim Chol, a senior defense official, was executed in January of this year on charges of drinking and engaging in other entertainment during the country’s mourning period for the late leader. The major daily Chosun Ilbo reported that Kim Chol was “obliterated” by an artillery shell.